Don’t you love it when strawberries are in season? Plump, juicy, ripe, red strawberries! I think they just might be my favorite fruit. And they’re packed with vitamin C and anti-oxidants!! 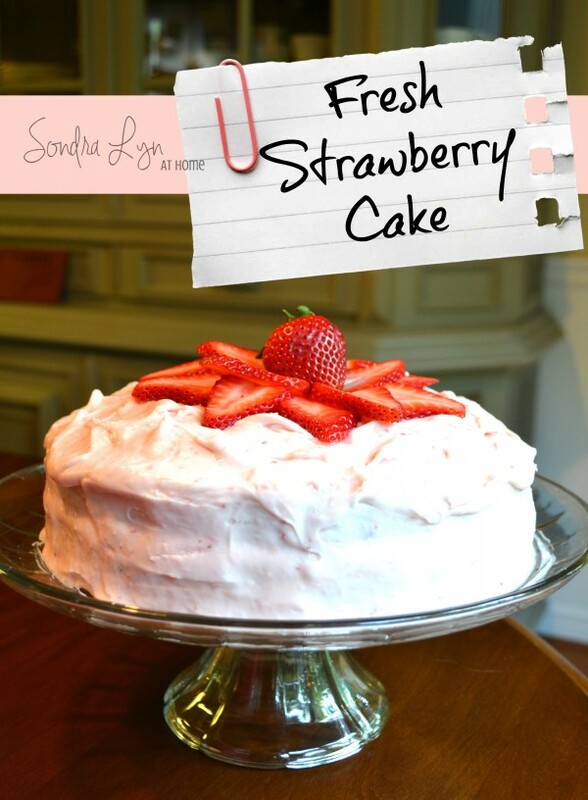 Of course, they’re good just by themselves, but they are AWESOME in a cake… a fresh strawberry cake, of course! 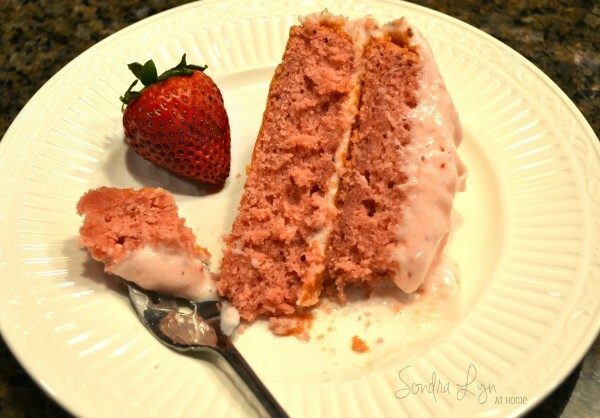 This recipe is adapted from one of my favorite cookbooks: The Cake Mix Doctor Bakes Gluten-Free. Yes, this cake can be made gluten free! How awesome is that? For the Cake Mix, I like to use Pamela’s Classic Vanilla Cake Mix. Place a rack in the center of the oven and preheat the oven to 350F. Lightly mist two 9-inch round cake pans with vegetable oil spray, then dust them with rice flour. Shake out the excess rice flour and set the pans aside. Rinse and drain the strawberries, then pat them dry with paper towels. Select the 6 prettiest berries for garnish and set them aside. 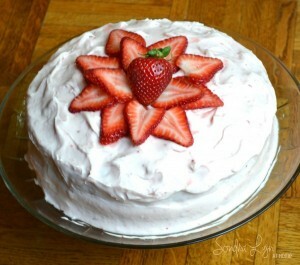 Set aside one large strawberry to use in the Strawberry Cream Cheese Frosting. Cut the green caps off the remaining berries and mash the berries with a fork or place in a food processor and pulse until you have a smooth puree, about 10 pulses. You need about 1-1/4 cup of pureed strawberries. Place the cake mix and strawberry gelatin in a large mixing bowl and stir to combine. Add the strawberry puree, oil, eggs, and vanilla and beat with an electric mixer on low speed until the ingredients are just incorporated, 30 seconds. Stop the machine and scrape down the side of the bowl with a rubber spatula. Increase the mixer speed to medium and beat the batter until smooth, 1 to 1 ½ minutes longer, scraping down the side of the bowl again if needed. Divide the batter evenly between the 2 prepared cake pans, smoothing the tops with the rubber spatula. Place the pans in the oven side by side. Bake the cake layers until they are golden brown and the top springs back when lightly pressed with a finger, 18 to 22 minutes. Transfer the cake pans to wire racks and let the cake layers cool for 5 minutes. Run a sharp knife around the edge of each cake layer and give the pans a good shake to loosen the cakes. Invert each layer onto a wire rack, then invert it again onto another rack so that the layers are right side up. Let the layers cool completely, about 20 minutes longer. To assemble the cake, transfer one later, right side up, to a serving plate. Spread the top with about 1 cup of the frosting. Place the second cake layer, right side up, on top of the first layer and frost the top and side of the cake, working with smooth, clean strokes. To make slicing easier, place the uncovered cake in the refrigerator until the frosting sets, 10 to 15 minutes. Just before serving, garnish the cake with the 6 whole berries or slice the berries and pile them in the center of the cake. Or slice the berries lengthwise 2 or 3 times, slicing up to but not through the green stem end. Gently spread out the berries to form fans and arrange these on the top of the cake. Rinse and pat the strawberry dry. Cut the green cap off the strawberry and chip the berry into small pieces. 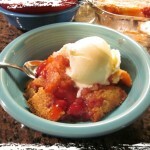 Place the chopped strawberry in a medium-size mixing bowl and mash it with a fork until pureed. Add the cream cheese and butter and beat with an electric mixer on low speed until combined, 20 seconds. Stop the machine and add the confectioners’ sugar. Beat with the mixer on low speed until the confectioners’ sugar is well incorporated, 15 seconds. Increase the mixer speed to medium-high and beat the frosting until fluffy, 2 minutes longer. The frosting can be made a day ahead and refrigerated, covered. Let the frosting return to room temperature before using. I hope you will enjoy making and eating this yummy confection! It is truly divine!! I love fresh strawberry cakes. We always buy the huge boxes from the strawberry stands and make something wonderful from them. Pinning this to try. Thanks for sharing on Merry Monday. Have a super weekend. Hi Sondra Lyn! Your cake looks absolutely delicious! Just wanted to let you know that Nicci from Living the Domesticated Life and I are featuring your cake on Flaunt It Friday tomorrow, so be sure to stop by! Also, if you’re interested in being a co-host for next week’s Flaunt It Friday, we’d love to have you. Just get in touch with Nicci via a comment or her contact page and let her know if you’re interest. Hope you have a wonderful weekend! I love strawberries and your cake looks heavenly! I wish I had a big piece of it right this moment! Pinning! Thanks, Marissa! 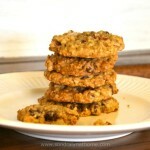 I just linked a couple of recipes, incl. the Strawberry Cake! 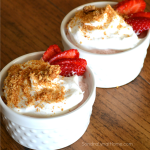 Thanks for linking up & for sharing more than one recipe!!! This will be one of my features this week, so feel free to stop by & grab a button! I can’t wait to see what other yummy recipes you share in the future! Ok. Wow. This is something I have always loved and wanted to make. 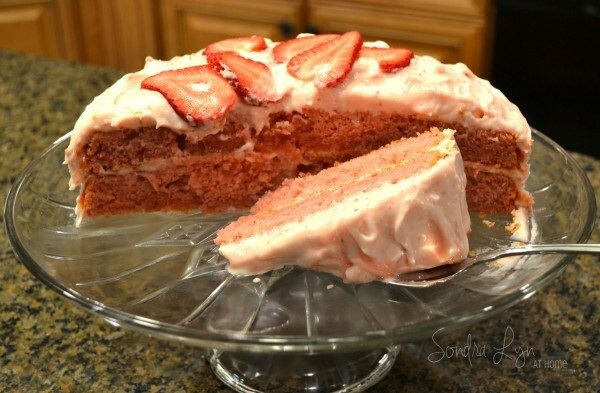 FRESH strawberry cake. 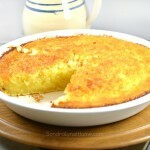 Thank you for linking this to Saturday Dishes!